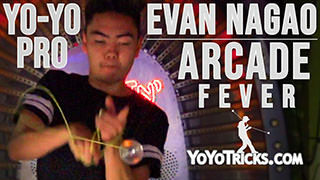 Learn Evan Nagao’s impressive finger grinding trick, Car Wash.
You are going to start off this trick in a Trapeze. 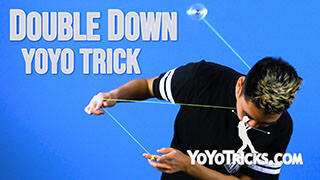 You are going to take your throwhand and wrap it around the string, pressing your thumb down on the string. Then you are going to pinch with your non throwhand index finger and middle finger. Then you are going to turn your throwhand face inwards towards your body, with your palm facing towards your body. 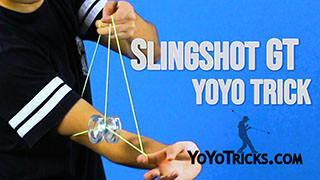 Then you are going to take the yoyo, put it under the string in your throwhand and you are going to pull up. Then you are going to level out your hands. Then you are going to pop the yoyo out forward but if you just pop it straight up, it is not going to come off the string. 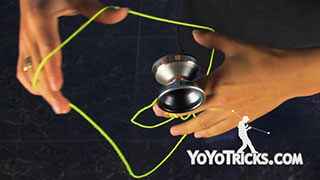 You want to make sure it pops through the string connected to your yoyo finger and around your thumb. You are going to do that by popping more towards your throwhand. Once you have done that, you are going to immediately land from that pop onto a grind. From the grind, then you are going to land onto the front string, on the other side of the kink. Then you are going to drop your non throwhand. You are going to bring your non throwhand over your throwhand. 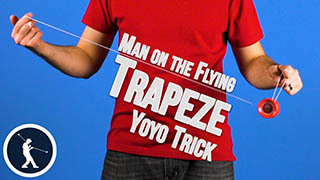 Then grab the string that is wrapped around your thumb. 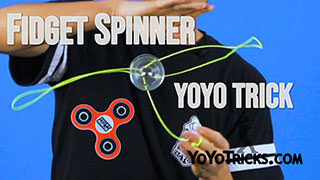 You are going to bring this on the inside and under the yoyo. 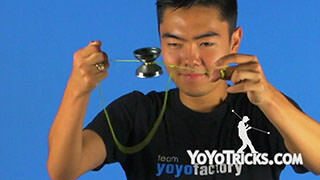 That will dismount the yoyo. 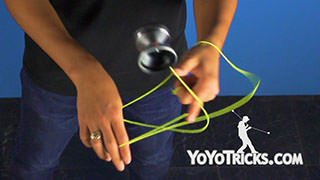 Once you have the yoyo dismounted, you are going to bring your non throwhand and the loop over your throwhand again. 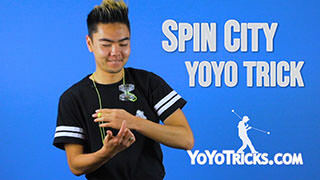 You are going to swing the yoyo up onto a grind on your index finger. Once you are on the grind you are going to pull your hands apart. 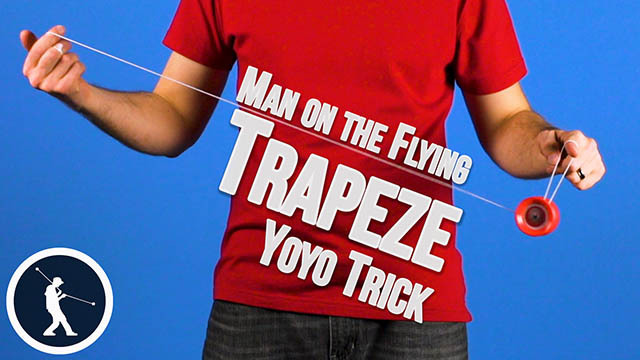 This should allow the yoyo to come off the grind and onto a trapeze. Then you are going to pop off and bind. 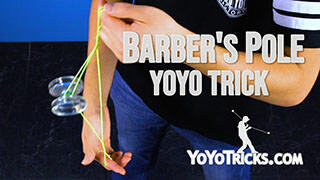 To really make this trick look good, you want to make sure that the yoyo is continuously moving throughout the trick. 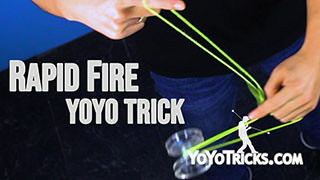 This will get you the best flow of the trick. 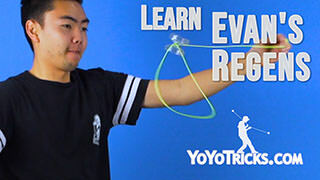 Also, when you are doing the element where the yoyo is pulling the string up from your throwhand, you do not necessarily have to land on the string in this mount. 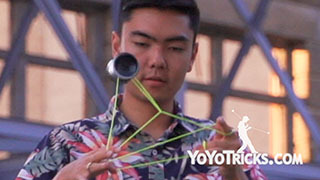 You can actually land in front of the string and that will not change the trick whatsoever. You can still do the trick just fine. And that is Car Wash. In this tutorial, I am going to teach you how to do Split the Atom. You throw a split bottom mount. 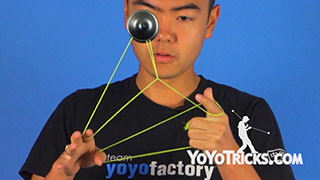 Then you are going to hit the yoyo on the front string. Then you are going to take your opposite hand and pull it up. 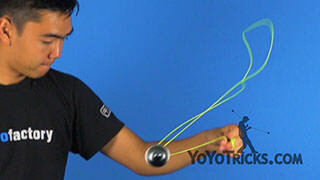 Then you are going to land the yoyo on the string closest to your opposite hand.